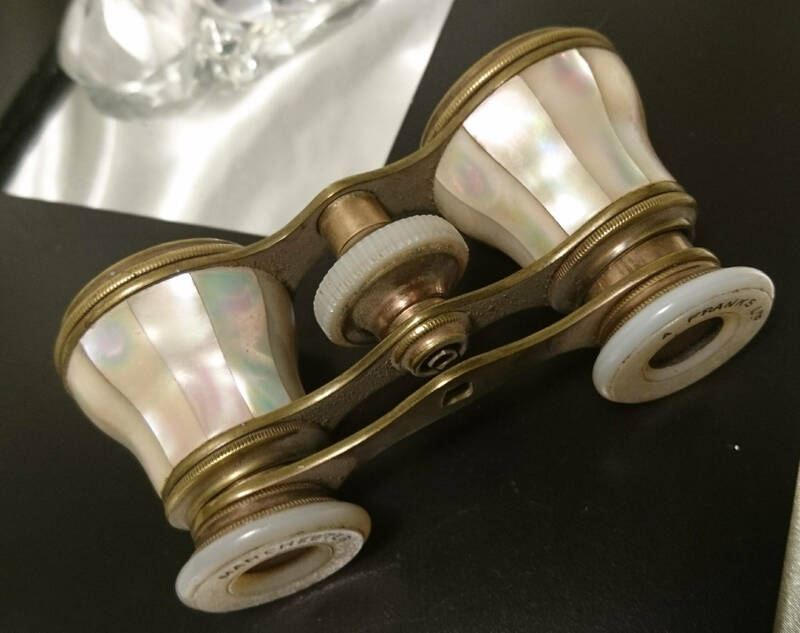 A beautiful pair of antique mother of pearl and gilt metal opera glasses made in the early 20th century Circa 1912 by A Franks of Manchester. 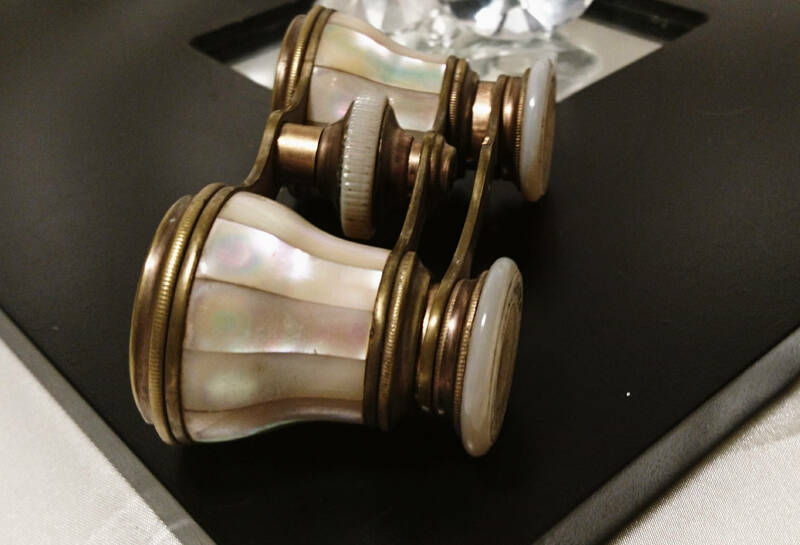 They are very beautiful and the mother of pearl is in excellent antique condition, all of the beautiful colours shine through with plenty of lustre. 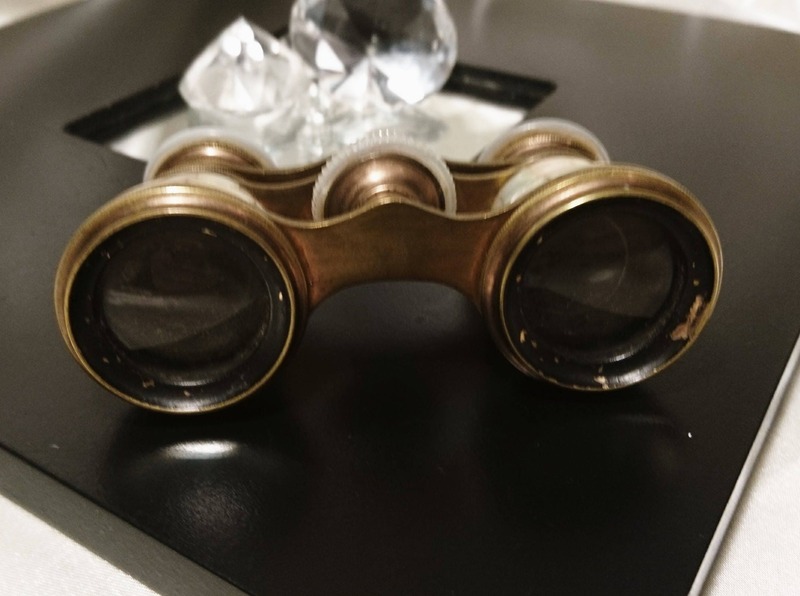 The lenses are in good condition with no chips or cracks and are still pretty clear. 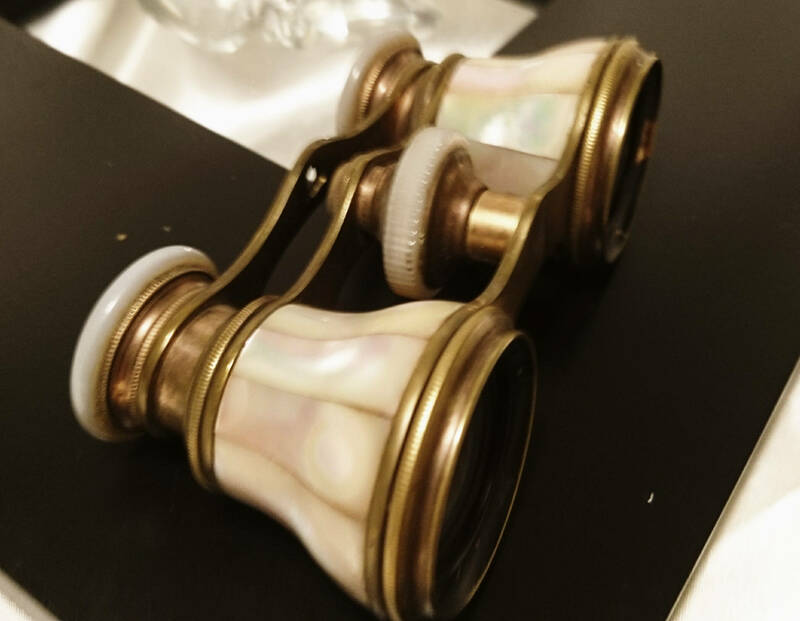 The manual focus is not currently working as they are missing the connection for this so are being sold as un-working. 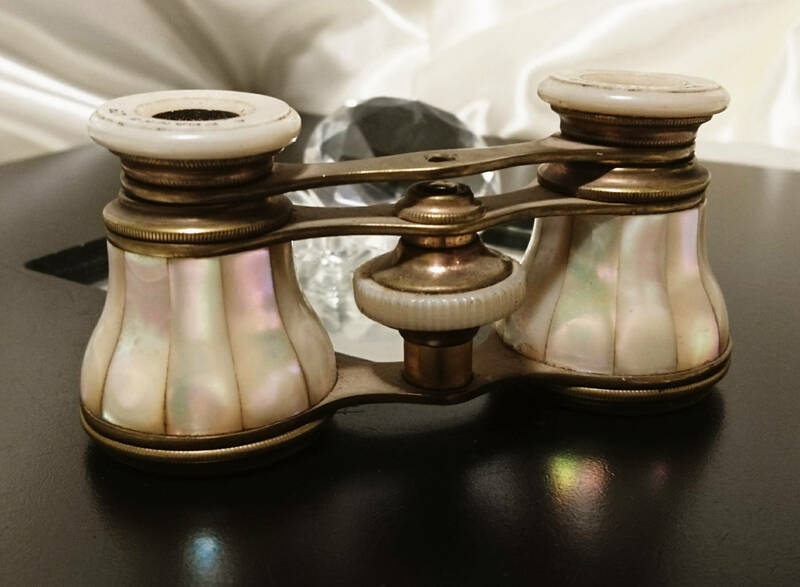 Without the connection from the arms to the focus wheel the eyepieces can be removed completely from the glasses, they would be able to be easily repaired and would make a lovely restoration project for somebody, the price reflects this.